Cameron Morrice is a final year medical student at the University of Glasgow, will present the findings of the essay he wrote looking in to the current opiate addiction crisis. His focus is on the genetic and environmental factors governing opiate addiction and how this has become a major issue, especially in chronic pain. He will also discuss recent advances in screening that might allow us a better balance between analgesia and addiction. 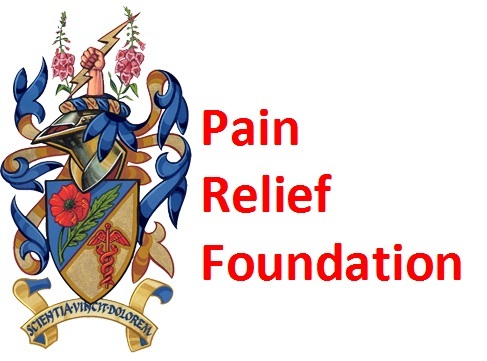 Cameron presented his essay at the Pain Relief Foundation to an audience of Pain Professionals and was very well received. 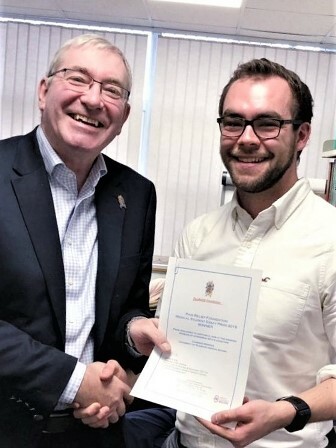 Cameron was awarded with the winning prize of £500 by Dr John Wiles a Consultant in pain at the Walton Centre, Liverpool and Chairman of the Pain Relief Foundation Education Committee. To see the winning essay made by Cameron please click here.